My youngest and I had the day together today. With the weather dry and warm, although no sun, we decided to potter about in the garden. We played on the swings and ran around, although my running is limited at the minute. She threw the ball for the dogs and spent ages playing fetch with them. A few days ago we had bought some plants from the garden centre, nothing fancy just some tulips and daffodils. My youngest took great pride in helping me dig holes in the garden to plant them. The dogs decided to help too. Spotty dog misunderstood and started digging up all the existing plants which gave me slightly more plants to plant. The best thing about digging holes is finding worms. My youngest loves finding the worms and then hiding them under the soil in the garden. As well as worms we also found a few other little visitors. There were ladybirds, bees and a snail. 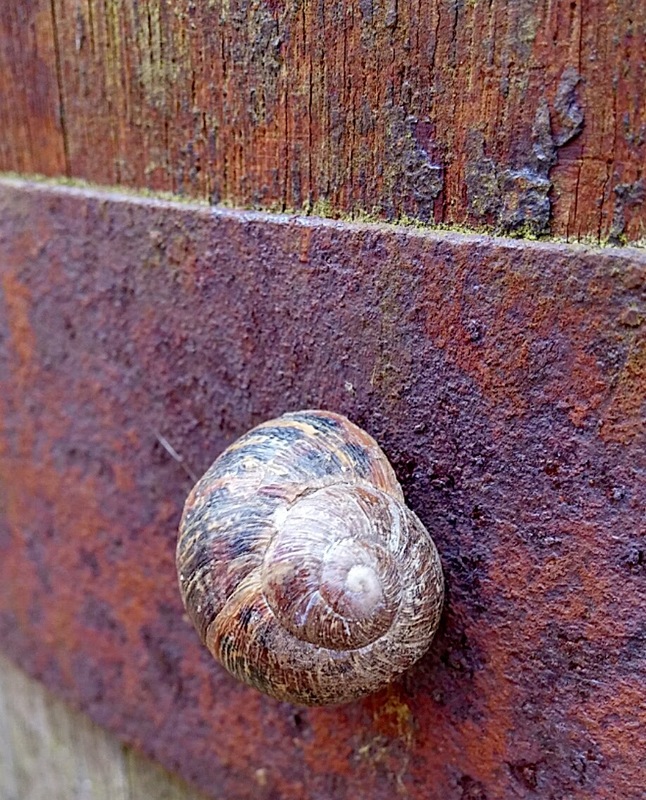 I really loved the contrast of the snails shell to the rust on the container. My youngest loved bug hunting in the garden and spotting all our welcome little visitors. Our wildlife garden is starting to take shape. Ah I like planting things this time of year. My kids like helping too. Love your little visitor. Visiting from BlogLovin.